A research guide to support students in Ginger Lin's Contemporary Chinese Culture in Music (CHI4322.01) class. In the wake of intense globalisation and commercialisation in the 1990s, China saw the emergence of a vibrant popular culture. 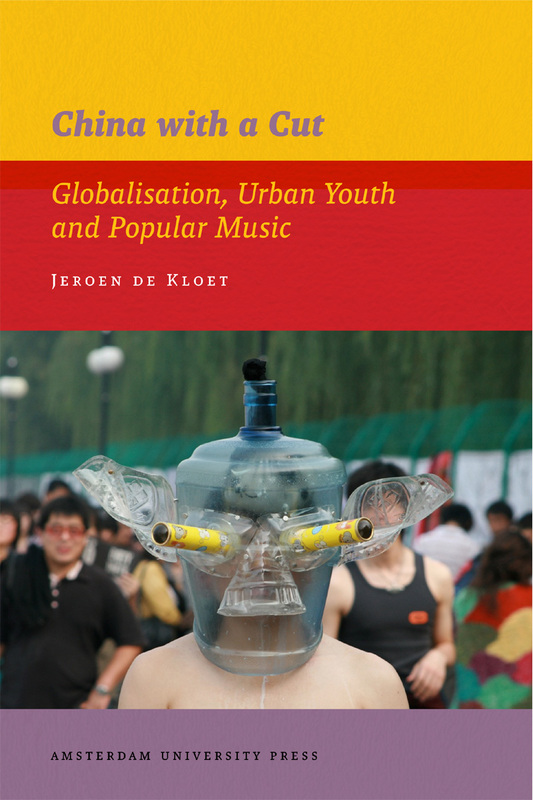 Drawing on sixteen years of research, Jeroen de Kloet explores the popular music industry in Beijing, Hong Kong and Shanghai, providing a fascinating history of its emergence and extensive audience analysis, while also exploring the effect of censorship on the music scene in China. China with a Cut pays particular attention to the dakou culture: so named after a cut nicked into the edge to render them unsellable, these illegally imported Western CDs still play most of the tracks. Focusing on the city of Beijing and drawing upon extensive fieldwork, China's New Voices shows that during the 1980s and 1990s, rock and pop music, combined with new technologies and the new market economy, have enabled marginalized groups to achieve a new public voice that is often independent of the state. Nimrod Baranovitch analyzes this phenomenon by focusing on three important contexts: ethnicity, gender, and state politics. Since the mid-1990s, Taiwan’s unique brand of Mandopop (Mandarin Chinese–language pop music) has dictated the musical tastes of the mainland and the rest of Chinese-speaking Asia. 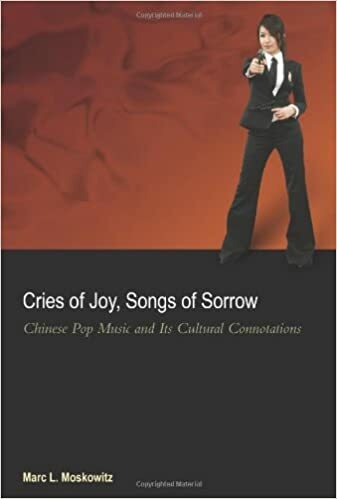 Cries of Joy, Songs of Sorrow explores Mandopop’s surprisingly complex cultural implications in Taiwan and the PRC, where it has established new gender roles, created a vocabulary to express individualism, and introduced transnational culture to a country that had closed its doors to the world for twenty years. The first of its kind in English to explore the musical culture of China's Cultural Revolution, Listening to China's Cultural Revolution discusses the history, politics, and aesthetics of a full range of music and performances during this rich yet complicated time in Chinese history. Together, the chapters, grouped under the headings "Temporality,' 'Geography,' and 'Lineage and Legacies,' demonstrate how the era's soundscape was both political and personal, experienced by ordinary people, artists, as well as political leaders, and how the sensory was translated into political actions or even indifference. Finally, the book traces the impact of this musical and operatic culture back to its earlier roots through present-day reverberations still felt and heard today. 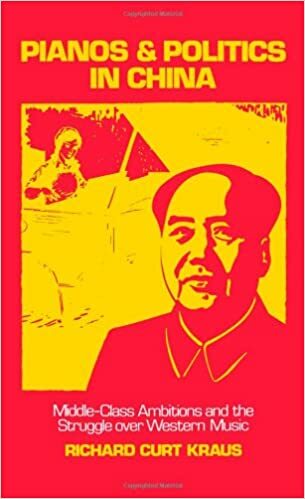 A chapter from the book "Popular Music and Human Rights"
In China, a nation where the worlds of politics and art are closely linked, Western classical music was considered during the cultural revolution to be an imperialist intrusion, in direct conflict with the native aesthetic. In this revealing chronicle of the relationship between music and politics in twentieth-century China, Richard Kraus examines the evolution of China's ever-changing disposition towards European music and demonstrates the steady westernization of Chinese music. Placing China's cultural conflicts in global perspective, he traces the lives of four Chinese musicians and reflects on how their experiences are indicative of China's place at the furthest edge of an expanding Western international order. Yellow Music is the first history of the emergence of Chinese popular music and urban media culture in early-twentieth-century China. 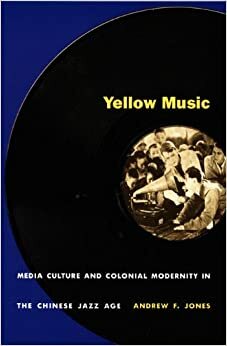 Andrew F. Jones focuses on the affinities between "yellow” or “pornographic" music—as critics derisively referred to the "decadent" fusion of American jazz, Hollywood film music, and Chinese folk forms—and the anticolonial mass music that challenged its commercial and ideological dominance. Jones radically revises previous understandings of race, politics, popular culture, and technology in the making of modern Chinese culture.